This is one of my most favorite homemade breakfasts. Take a small Food For Life Baking Company Ezekiel tortilla. Lightly toast it. Cover it with fresh guacamole. 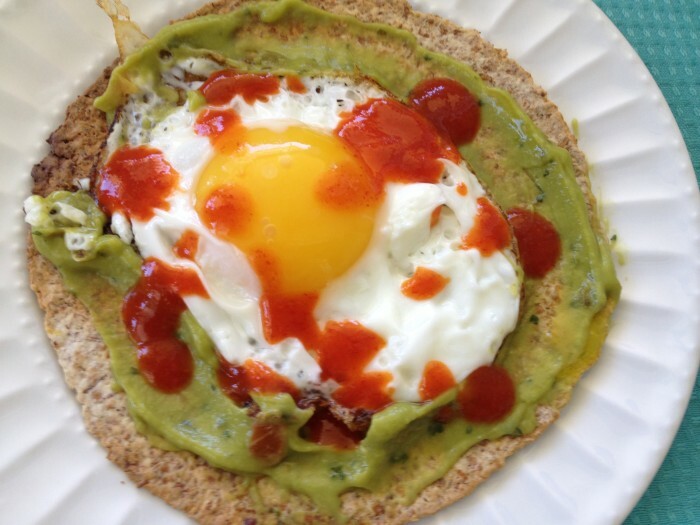 Fry one fresh farm egg in olive oil, and place it on top of the guacamole. Top with Sriracha Rooster Sauce. It’s delicious! Please try it and let me know what you think.